“It doesn’t make any difference what I eat. Weight problems just run in my family. It’s all genetic.” These are common excuses, but genetic research has just shot them down in flames. Genes do influence our size and shape, but studies clearly show that if you change your diet and lifestyle, you can override hereditary effects to a great degree. Contrary to popular understanding, genes are not dictators, they are committees. They do not give orders; they make suggestions. You can counteract your fat genes and boost your thin genes. We often think of genes as unchangeable because, when it comes to eye color or hair color, they really are decisive. If they call for blue eyes or brown hair, that’s it. But the genes that establish your size and shape are much more flexible. They need to be able to adjust your appetite and your calorie burning, depending on whether food is plentiful or not, and whether you are working hard or resting. Unlike eye or hair color, your body has to be able to change its composition from minute to minute, from day to day. * Taste genes determine the foods you crave. In taste experiments, scientists use a test substance called PROP (6-N-propylthiouracil). About one in four people can taste its bitterness very strongly. These people avoid grapefruits and never go near black coffee. Although their acute taste sense is generally an advantage, the downside is they may avoid healthy vegetables, such as broccoli or cabbage, that have a hint of bitterness. If this group includes you, you’ll want to find ways to flavor these healthy vegetables so you will include them in your routine. Another one in four people cannot taste PROP and are called “taste blind.” Their problem is they may tend to overeat, making up in quantity what they are missing in taste. If this includes you, and you tend to be indiscriminate in what you’re eating, you’ll want to take care to emphasize fruits, vegetables, whole grains, and beans, and to be very cautious about fatty foods and their hidden calories. * A gene on chromosome 7 makes leptin, the appetite-taming hormone. In 1997, English researchers reported the case of two cousins who became extremely obese very early in life. They demanded food continuously and ate much more than their siblings. At age 8, one weighed 189 pounds. She had so much trouble walking she had to have liposuction of her legs. Her cousin was only two years old but already weighed 64 pounds. It turned out they shared a rare mutation blocking the leptin gene. With no leptin to curb hunger, their appetites were voracious. You are not likely to have this same gene abnormality. However, your leptin may not be working perfectly either. Very-low-calorie diets disrupt its appetite-taming effect, causing your appetite to run out of control. The key to keeping leptin working right is to avoid severe calorie restrictions. If you eat at least 10 calories per day per pound of your ideal weight, you are unlikely to run into serious problems. * A gene on chromosome 8 builds LPL, the key enzyme that stores fat in your cells. 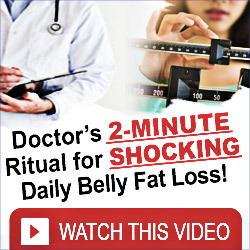 It waits along the walls of the tiny blood vessels that course through your body fat, and its job is to extract fat from your bloodstream and pass it into your fat cells for storage. If your LPL is doing its job a little too well, you can change this genetic tendency by choosing foods that have little or no fat in them. Once again, vegetables, fruits, legumes, and whole grains are your best friends. * The hormone insulin, coded on chromosome 11, is part of your body’s system for increasing your metabolism after meals. Depending on the type of foods you choose, you can help insulin spark a pronounced after-meal burn that releases calories as body heat rather than storing them as fat. Low-fat, vegan diets, along with regular exercise, make insulin more efficient. * Believe it or not, exercise aptitude is largely biological, too. People who love to go for a five-mile run at the crack of dawn are genetically different from other people. They are endowed with a better capillary network that brings oxygen to working muscles and a more efficient fuel-burning mechanism. If you did not get these genetic advantages, you can do the next best thing. If you begin a regular exercise program and stick with it, your muscle cells begin to look more and more like those of natural athletes. There is no need to be daunted by your family heritage. Yes, some of us will always be bigger and others smaller. But with a healthy, low-fat diet and regular physical activity, your genes can stop working against you and start working for you.